Do you ever get to the point that there is so much to do that you basically stop doing anything? I will often wake up in the morning and think of all the stuff I need to get done (all of which cannot be accomplished in a day or even a week) and get overwhelmed by this fact and so I choose to cuddle with the dogs or watch some TV before going to work instead of making progress on anything at the house. This usually happens when I'm trying to hold too much of my to-do list in my head so I have a hard time sifting through and choosing something that will only take a couple of minutes to get done (which would make me feel better). My solution to this? 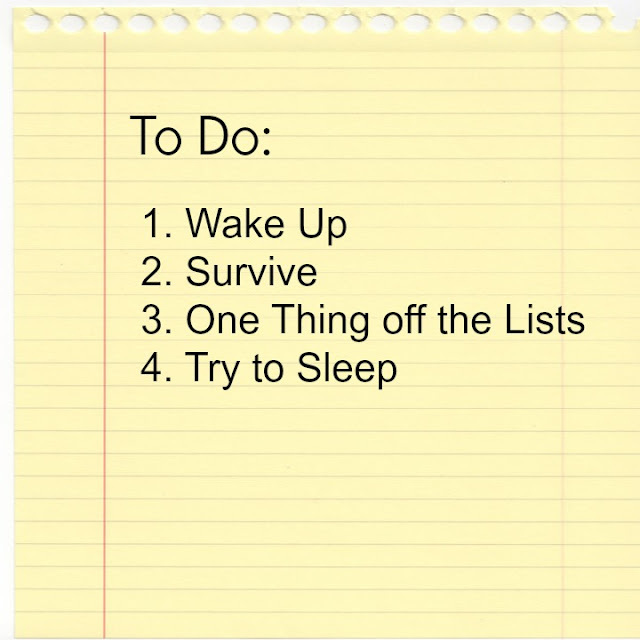 Make lists. I make lists constantly. I love checking things off and I've gotten to the point where I can make a list pretty fast so it doesn't fall into the procrastination side of things. At work I make a list of the things I want to get accomplished before I leave for the day and I usually don't leave until those things are done (which sometimes means not leaving until 10 pm if things aren't going well... #lifeofagradstudent). At home we are constantly make lists for things that need to get finished. I keep most of those lists on my phone (I love the Reminders App) so that I can have the phone tell me something to do in the morning which helps me not get overwhelmed. However recently, I've run into a problem. With the baby coming next month, we are now inundated by To-Do lists. I currently have about 15 lists on my phone of various things we need to get done/cleaned/bought. This has sucked me back into the overwhelmed category especially because I haven't really been sleeping. So I've made one last list to try and simplify. This will be my To-Do list for the foreseeable future. This means that you may see posts from me, you may not. Hopefully this will help me be slightly productive instead of not productive at all and make it so we are actually ready for this baby to come home.